Crabtree Valley Dental’s Smile Savings Plan is designed to provide affordability and greater access to excellence in dental care. Your benefits are available only at Crabtree Valley Dental. Get 5% Off of your plan by renewing prior to expiration date. Your effective date is the day you sign up and your renewal date is the same date every year. Cleanings must be performed before the end coverage date. This is a dental discount plan and is NOT dental insurance. It cannot be combined with any other dental insurance. Co-payment is due at time of service for any work received. Rates are subject to change annually. Membership dues are not refundable. Children are covered until age 18 or the age of 26 if enrolled fulltime in college. 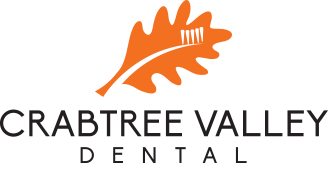 Membership is good only at Crabtree Valley Dental, therefore if you are referred to a Specialist, discounts offered to members will not apply.